Ten days after that, a Japanese cargo ship will arrive at the station. 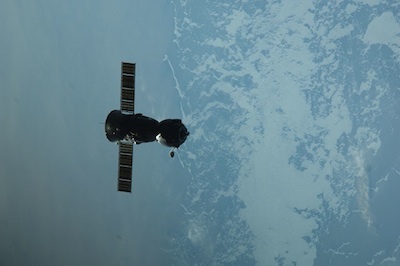 After capture by the station's robot arm, the HTV-3 spacecraft will be berthed at the same Earth-facing port as the Dragon capsule. The HTV berthing will be followed by arrival of a Russian Progress supply ship, scheduled for docking Aug. 2.